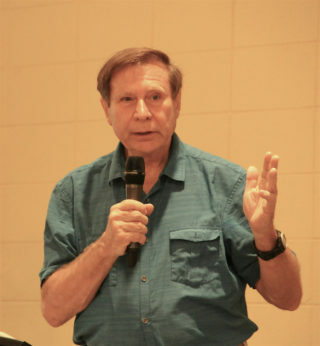 Dr. Stephen Leatherman, a professor and director of the Laboratory for Coastal Research at Florida International University — known for his Top 10 U.S. beaches lists — was addressing the proposal for the dredging of 1.2 million cubic yards of sand from Big Sarasota Pass to renourish about 1.6 miles of South Lido. Leatherman’s comments came just two days after the Sarasota County Commission received a letter from the U.S. Army Corps of Engineers (USACE), turning down the board’s Aug. 24 request to pursue an EIS on the Lido project. In July, the SKA formally asked the County Commission to seek the EIS. Other Siesta-based organizations opposed to the dredging of Big Pass have been calling for such an intensive study, as well. Among them has been Save Our Siesta Sand 2 (SOSS2). “I think we have to do no harm,” Leatherman said in an allusion to the Hippocratic Oath that physicians take. “We can’t rob Peter to pay Paul,” he added of removing sand from Big Pass to renourish Lido. He did acknowledge the Lido shoreline erosion, nonetheless. Although the permit the City of Sarasota and the USACE have applied for from the Florida Department of Environmental Protection (FDEP) would be for 15 years, Brandon Burch, manager of the Lido project for the USACE, reiterated last week in Sarasota what his predecessor, Milan Mora, told community residents in September 2013: The Lido Renourishment Project has been planned for a 50-year period. 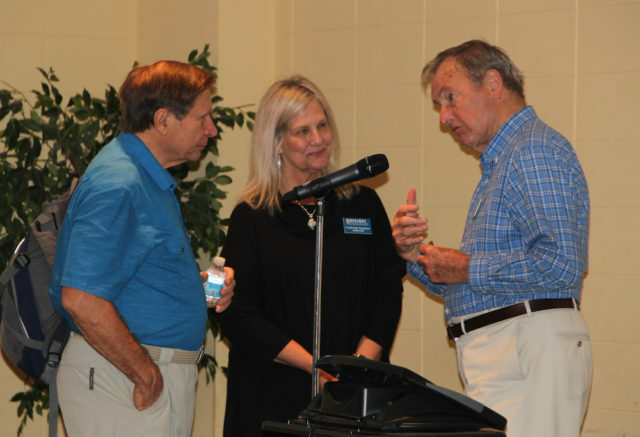 Burch was one of the speakers who welcomed the public to an FDEP open house on the project on Nov. 30. 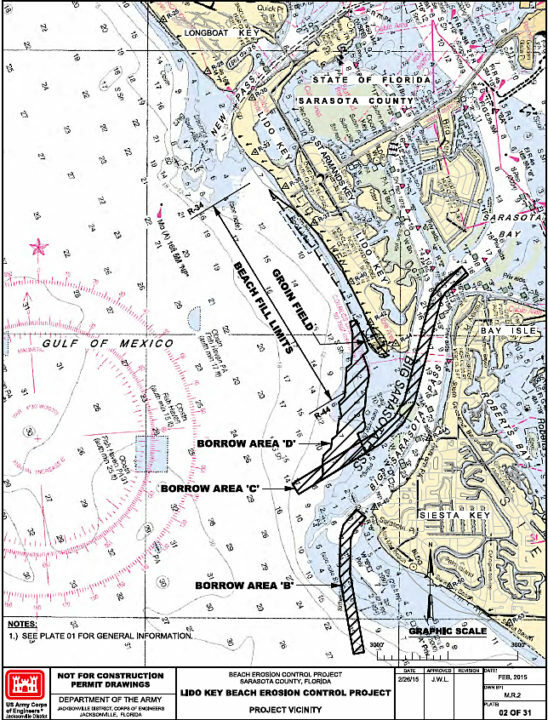 The most recent material the USACE submitted to FDEP, in late August — in response to questions from state staff — says the two primary borrow areas targeted for the initial renourishment project are B and C. B “is a southern extension of the existing [Big Pass] channel offshore of Siesta Key,” while C is “within the ephemeral channel” of the pass. “I guess you could take a little bit of sand and see what happens,” Leatherman said — perhaps just a few hundred thousand cubic yards from the pass’ ebb shoal. “Then if nothing bad happens over a period of years,” he continued, the USACE could take a little bit more for Lido. When former SKA Director Bob Waechter asked Leatherman whether he considered 1.2 million cubic yards of sand a small amount of sand, Leatherman replied that he did not. SKA First Vice President Bob Stein asked Leatherman to explain what an EIS is, for those in the audience who might not be familiar with such a study. Even if the EIS indicated no problems would be expected, he continued, he still would consider the first dredging of sand as an experiment. “Coastal engineering … sometimes is more art than a science,” he added. Beaches seem simple, he noted, but they are not. In emphasizing that point, Leatherman related an anecdote about his having been hired as a consultant to the Town of Kiawah Island, S.C., about 10 years ago. Kiawah Island lies south of Folly Beach County Park, which is one of the few state parks in the Charleston area, he told the audience. 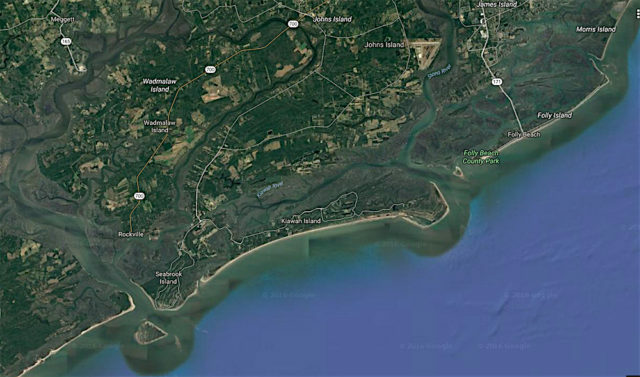 “The beach [at the park] was getting very narrow,” more than a decade ago, he said, so the USACE and the State of South Carolina decided that to renourish it, they should dredge a very deep channel in an area built up by sand that had eroded from the park. After all, he continued, they figured that would be the best quality of sand for the renourishment. He worked with the people on Kiawah Island to use available sand to reconnect the 18th green to the rest of the island. “This is a case where there was modeling done [by the USACE],” he pointed out.